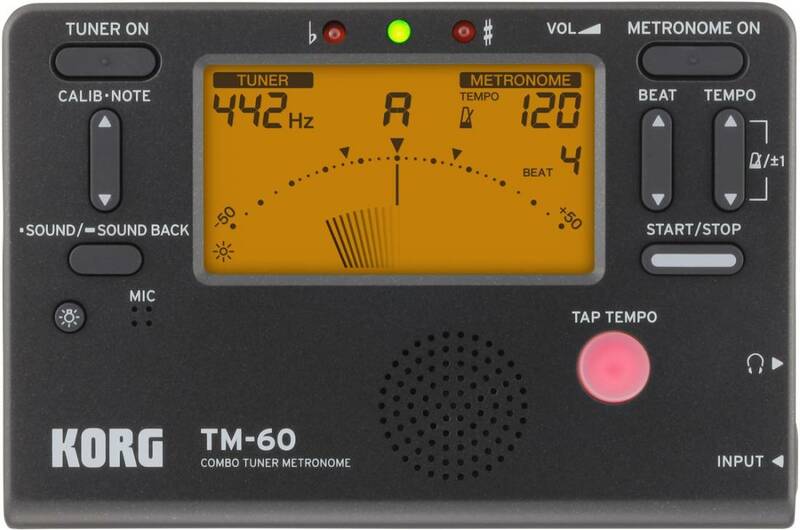 The TM-60 is the newest model in the best-selling KORG TM series and features a larger display that can show the tuner and metronome simultaneously. The battery life has also been dramatically improved. 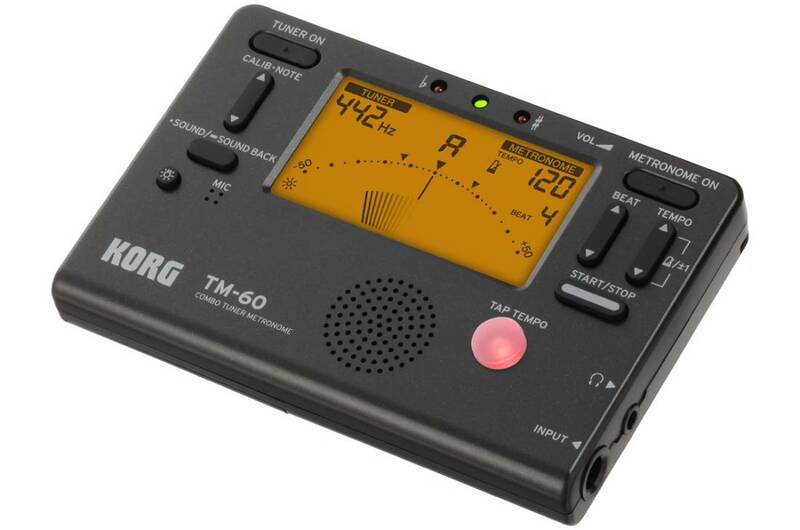 With the all-new TM-60, you'll be able to enjoy pitch training and rhythm training without having to switch functions or be concerned with battery life. In addition to letting you use the tuner and metronome simultaneously, the TM-60 features a display that's approximately 1.3 times larger than the previous model (the TM-50), allowing easy viewing even when the unit is placed on your music stand, and also allowing the tuner and metronome functions to both be viewed simultaneously. You can adjust the brightness of the enlarged backlit display in two levels, soft or auto, ensuring stress-free tuning even when you're on a dimly lit stage or in an orchestra pit. The circuitry has been redesigned to achieve a battery life of 130 hours, approximately double that of the previous TM-50 model (tuner in use, backlight off) so there's no need to worry about the remaining battery life even during extended practices or performances. A wide detection range of C1-C8 supports a broad range of instruments. Dimensions (W x D x H): 111 mm x 74 mm x 18 mm / 4.37" x 2.91" x 0.71"